for $1,288,000 with 4 bedrooms and 3 full baths. 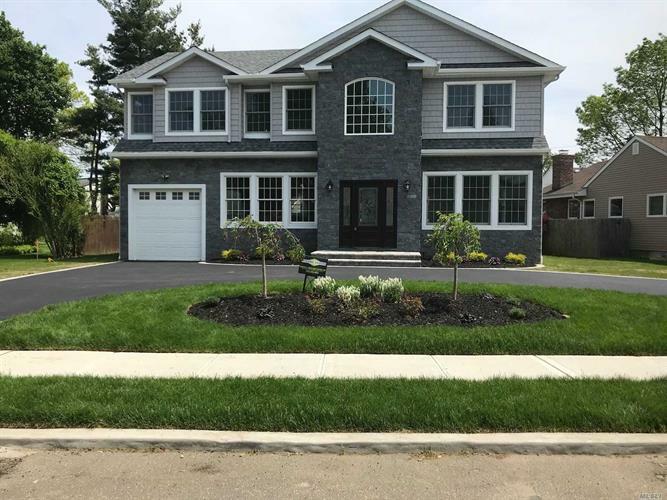 This home was built in 2019 on a lot size of 90 x 105. New Construction In Clearview Village! 4 Bedroom, 3 Bath Colonial. 9' Ceilings In Full Unfinished Basement w/ Egress Window. 20 ft Entry Hall Foyer, Gourmet Eat In Kitchen w/ Stainless Steel Appliances, Center Island & Granite Counters and Porcelain Fl, Den, Living Rm, Formal Dining Rm, Full Bath. 2nd fl Master En-Suite w/ Jacuzzi Bath, 3 Bedrooms, Full Bath & Laundry. Wood Floors Throughout. Paver Patio. Energy Star Windows, Refrigerator, Washer, Dryer, Dishwasher, Hot Water Heater. Must See!